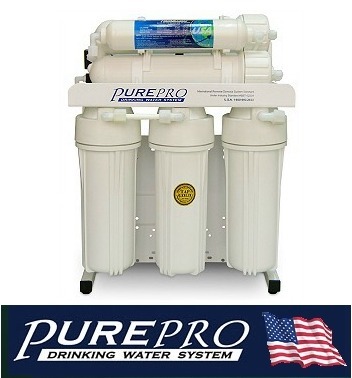 Provides high quality drinking water with capacity up to 0.86 liters per minute. Can be installed under or next to kitchen sink. Designed for the direct flow, No tank required, provides maximum output, while taking up minimum space. HRO-300 can be installed with large tank (11G or 20G water storage tank) for maximum output.